The road towards clearer and fairer skin is filled with plenty of challenges. Fighting acne has always been a struggle due to its causes which include genetics, hormonal imbalance, diet, and personal hygiene. Among these causes, hormonal fluctuations tend to be the most common culprit, specifically the testosterone. Does testosterone really cause acne? How does it happen? Read on and learn the relationship between this hormone and those unwanted breakouts. Does Testosterone Cause Acne? How? In order to properly answer whether testosterone really causes acne, it is necessary to understand and know what testosterone is. The body’s endocrine system is made up of different glands, around 10 types. These glands are responsible for releasing specific hormones that will help stimulate and promote the different processes of the body. One of these glands is the adrenal gland which functions primarily to produce androgens. Testosterone is an important androgen that is present in a male. This is responsible for the development of the sexual characteristics of a male. Even though testosterone is a male hormone, small amounts of it may also be present in women. Testosterone alone will not cause a breakout in the skin. However, too much of this androgen can worsen the severity of acne. This testosterone-related acne may be experienced by both men and women. How does testosterone affect acne? The presence of numerous androgens in the body helps stimulate the sebaceous glands which are normally found beneath the skin and acts as the hair follicle base. This stimulation will trigger the production of an oily substance known as sebum in order to maintain a soft and healthy skin. Once too much sebum is produced, this may lead to clogging with particles such as oil, dead skin cells, and dirt. 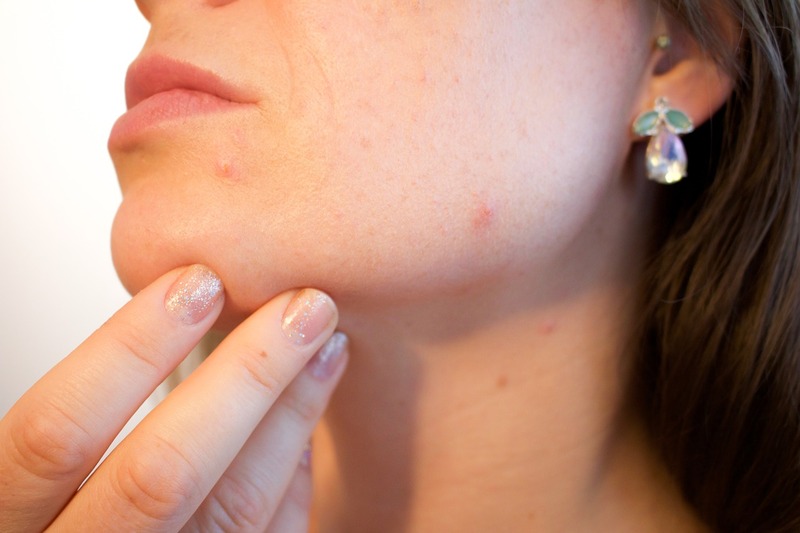 The presence of bacteria into these clogged pores will then result to pimple formation. These hormonal changes are commonly observed during puberty, during which the testosterone level of a teenager can increase due to the different life stresses and situations. This will trigger the production of sebum which then increases the severity and frequency of the acne conditions. Why Are Your Testosterone Levels High? After knowing the answer to “does testosterone cause acne”, you would ask this question. According to the National Institutes of Health, the normal testosterone levels in men range from 300 to 1200 nanograms per deciliter while women have around 30 to 95 ng/dL. When the levels of testosterone in the body fall above the given ranges, this means that too much of this hormone is being produced. The overproduction of testosterone may be due to the following factors. Disorders of the adrenal gland may affect the production of testosterone. Congenital adrenal hyperplasia is a common adrenal condition that is characterized by lesser aldosterone and cortisol production in the body. The absence of these hormones allows the body to create and produce more testosterone than what is needed or required. The presence of tumors in the adrenal gland also affects the testosterone levels in the body. These will lead to the secretion of higher amounts of male hormones in the body. Hypothyroidism is a medical condition that is characterized by an underactive thyroid gland. The hormones produced by the thyroid helps convert the cholesterol in the body into progesterone. This conversion will help in preventing acne breakout. Hirsutism is a medical condition commonly observed in women. This is characterized by the growth of unwanted hair in the face, chest, and back area. The amount of hair growth is dependent on the genetics of the person. However, this may also be due to the imbalanced level of androgen hormones in the body. According to the American Association for Clinical Chemistry, several types of cancer cause the body to create uneven levels of testosterone. The tumors present in the different hormone regulating organs trigger the production of more testosterone than what the body needs. Does testosterone cause acne? No, but it will affect. How? PCOS is a medical condition in women which can be both a cause and an effect of the high levels of testosterone in women. The imbalance of the female hormones, including estrogen and progesterone, makes the body have more testosterone. This increase in the hormonal concentration leads to irregularities such as abnormal menstrual cycle and infertility in women. The early onset or hitting of puberty than the normal can be associated with high levels of testosterone. The early puberty stage occurs when a boy develops facial, underarm, or pubic hair and other physical changes before he turns nine years old. The high levels of testosterone may be due to the use of illicit drugs, anabolic steroids, and other medications. Women who use clomiphene to encourage ovulation or undergo certain therapy with the use of estrogen may have higher testosterone levels. Both men and women who use anti-seizure or barbiturate drugs may also have higher amounts of testosterone in the body. Taking supplements with Vitamin D and zinc may cause an increase in testosterone level. It is important to be careful and watch your diet to ensure that not too much of these vitamins are consumed. How to Know If Your Testosterone Levels Are Too High? Does testosterone cause acne? It may have a effect. So how could you figure out you have high testosterone level that can affect the acne? You would like to check the symptoms below. The increased levels of testosterone, as compared to the normal range, may be determined by several symptoms. The high levels of testosterone in men can lead to the following physical and emotional changes. The high levels of testosterone in women can lead to the following physical and emotional changes. Some cases of the imbalance or high testosterone levels in women may lead to more severe conditions such as infertility or obesity.